Adele is single again????? She and her partner have separated after 7 years! Lil Dicky stopped by for an interview about his new song "Earth" featuring pretty much everybody you've ever heard of! After a WILD date night… the couple in today’s Second Date went somewhere EXOTIC that involved a lot of pawing and even howling… They must not have had a roaring good time because one of them isn’t getting a call back! 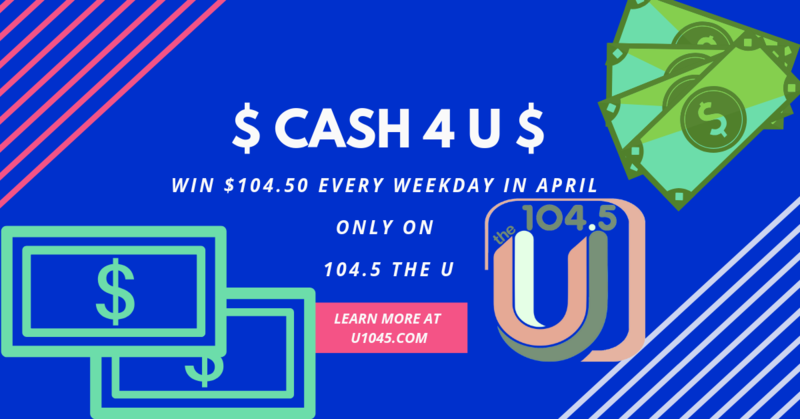 104.5 The U keeps every listener happy and upbeat with a fun mix of Top 40 favorites and upbeat alt-pop gems. Pop culture hipsters, seasonal latte lovers, stay-at- home dads, mommy-bloggers, kids and cool grandparents can always sing along or rock out with 104.5 The U. Passionate about the Missoula community, our station also champions local non profit organizations and events. Kids, teens and grownups also enjoy many events that 104.5 The U sponsors with our favorite partners throughout the year.